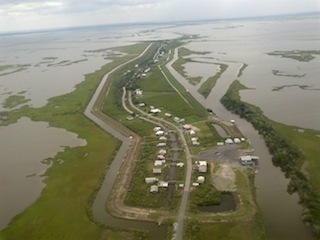 Isle de Jean Charles (known locally in Louisiana French as Isle à Jean Charles) is a narrow ridge of land between Bayou Terrebonne and Bayou Pointe-aux-Chenes in Terrebonne Parish, Louisiana. 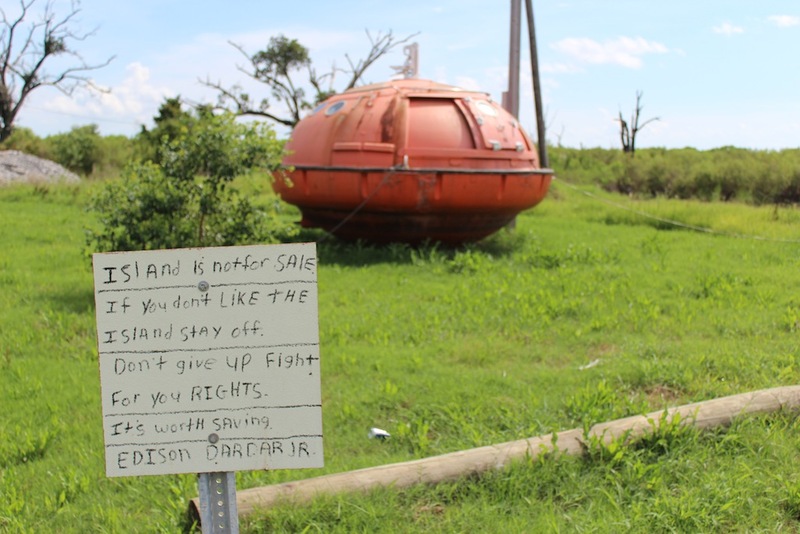 It is home to many members of the Biloxi-Chitimacha tribe as well as a community of the Houma people. The Indian population on Isle de Jean Charles today is approximately 25 families. Community-produced interview with Isle De Jean Charles Deputy Chief Ernie Community-produced land loss animation of the Island.